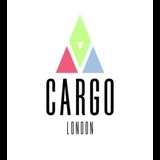 ... ’re delighted to present new Saturday night party in Cargo - Wanderlust. Best club experience in Shoreditch from... abundance of good vibes to one of London’s finest venues in the heart of Shoreditch. Tuesdays in Shoreditch will never be the same. This November we are bringing you a brand new, shiny, perfectly polished pearl of a party - THRIFT. We will be playing the best of Garage, Hip-Hop & R&B all night long. And we will play it the way it’s supposed to be - LOUD.